When you hire Russell & Sons Waterproofing, count on dependable service 7 days a week from our friendly and dependable staff. All workmanship is guaranteed. We’ve been a family owned & operated business since 1967 and have over 40 years' experience. Honesty and integrity is what we operate under. Trust the waterproofing Peterborough residents trust. Your home is one of your biggest investments. 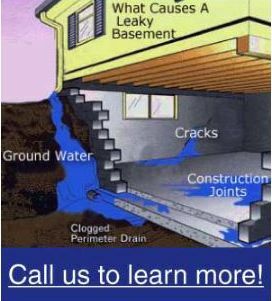 Stop water and moisture from ever getting in your home when you protect it with a professional waterproofing system. If untreated, it can result in corrosion of concrete and mortar.